Planting Dates: For spring, 4 to 6 weeks before the last killing frost in the spring, usually February 10 - May 15. Initial planting can be following by successional plantings at 2-3 week intervals. Fall crop should be planted when the summer temperatures have moderated to an average of 80° during the day, usually August 1 - September 30. Growth Habits: Rosette of tasty foliage out of a swollen root. Beets are cool season vegetables that are extremely easy to grow and are often used to teach kids how to grow plants. Culture: Need well-drained healthy soil. Prepare soil well and add organic fertilizer when plants are about 6 inches tall. Beets do best in raised flat-topped rows. 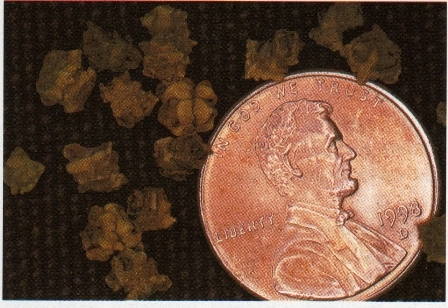 The seed can be planted closely but should be thinned to 3 inches for the final spacing. Beet seed can be planted in single rows, multiple rows or broadcast on top of the beds or hills. Top of beds should be 16-20 inches wide. Plant seed ½-1 inch deep; 1 inch seed depth is too deep in heavy soils. Thin the seedling to 3 inches for best production. Troubles and Solutions: Nematodes, wireworms, grubworms, cutworms, flea beetles, and leaf diseases. Boron deficiencies are common in non-organic gardens. Notes: Beets don’t like low pH soils. 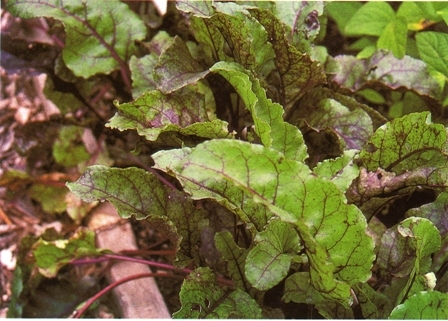 When thinning the young plants, the tops can be used as greens, cooked or raw, in salads. Varieties: Lutz is the most often recommended variety. Other choices include Pacemaker II, Detroit Dark Red, Chiogga, and Red Ace.